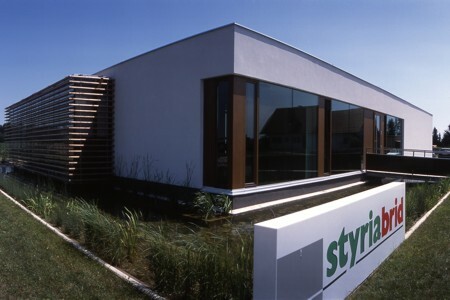 The Styrian pork-producers association Styriabrid wanted a modern, young and dynamic headquarters. 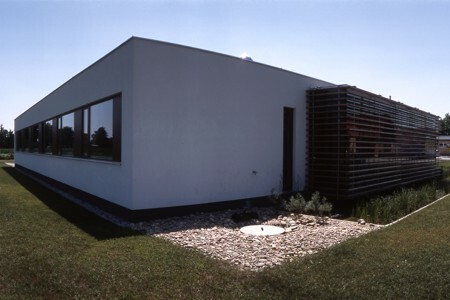 The compact building surrounds a green atrium, around which the reception, conference, office and storage areas are grouped. 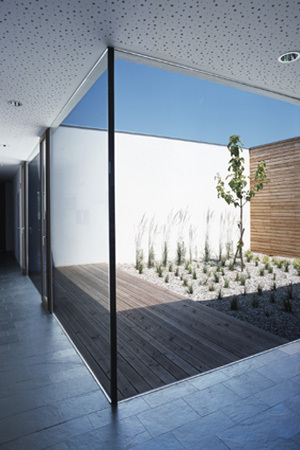 The long bay windows of the conference room look out on a biotope designed by plan2 and extending up to the entrance, which is accessed via a wooden ramp. 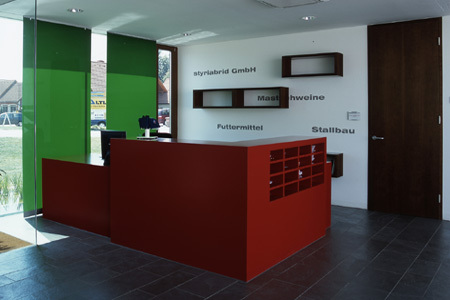 The appeal of the building lies in its transparency and the interaction between the interior and exterior. The storage area, for example, is illuminated through a semitransparent wall of hollow chamber profiles with mounted wooden planks. The same plank motif is reflected in the solar protection of the conference room’s bay window.